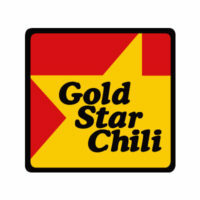 Gold Star Chili is a restaurant chain, which primarily offers their special Cincinnati chili. The restaurant also offers double decker sandwiches, burritos, and salads. Other famous menu items include gourmet burgers and ice cream shakes. The restaurant was founded by the Daoud brothers in 1965. Its first location was in Mount Washington, Cincinnati, under the name Hamburger Heaven. The name subsequently changed when the customers ordered chili more than other items on the menu. The restaurant chain prides itself in being the Flavor of Cincinnati. Since it opened for franchising, the chain now has over 80 locations in Ohio, Kentucky, and Indiana. Basic employee benefits include competitive salary rates, paid training and flexible work schedules. Gold Star Chili also offers retirement benefits and healthcare plans to eligible employees. The fast-paced yet supportive environment inspires employees to work hard. The company keeps personnel updated through recognizing their efforts. Career and personal growth is also promoted by the company. How old do you have to be to work at Gold Star Chili? A potential employee must be at least 16 years old to apply. They must also possess the appropriate skills and educational background needed for the position. Cashiers – They man the Point of Sale system and are responsible for all cash transactions. They make sure that all orders are correct and are communicated to the kitchen. Line Cooks – tasked with cooking and preparing all orders. They must to cook meals accurately even when under pressure. They must likewise maintain the cleanliness and sanitary standards in the kitchen. Shift Leaders – in charge with supervising employees. They make sure that all personnel perform their tasks and keep them motivated. They are also responsible for addressing customer concerns. Assistant Managers – aid in managing the business. They are also responsible for crafting brand promotion campaigns and activities, and conceptualizing strategies to ensure attainment of sales targets. The restaurant chain offers part-time and full-time positions. Other common positions in each franchise include restaurant managers and prep cooks. Corporate positions are also available. All applicants need to complete and submit an application form. The application form shall contain the applicant’s basic personal information, educational background and employment history. The application form may be submitted either in person or through email. Location for personal application varies per state. Several locations also accept applications sent via fax. The application form will largely determine the candidate’s chance at employment. It must be neatly accomplished and contain relevant information. It must be straight to the point, and must include up-to-date contact details. An applicant’s resume is like a more detailed application form. It shall enumerate his skills, qualifications and job-related trainings. Applicants for management positions may also include educational attainment and awards received. The restaurant industry requires employees to have pleasing personalities. Applicants must be capable of convincing the interviewers that they have the passion, skills and personality that reflect the company. The company provides itself in creating a passionate atmosphere for career-driven individuals. It believes in nurturing the values of passion, integrity, courage and respect among its employees. Gold Star Chili has been recognized as the official sponsor of the Cincinnati Bengals football team. It is also dubbed as the official chili of the Cincinnati/Northern Kentucky International Airport. The restaurant chain was made famous by its unique chili recipe. Customers also love the fact that they offer catering services ranging from casual to corporate. Gold Star Chili is a known sponsor of the Cincinnati Children’s Hospital Medical Center. The restaurant is also proud of being an Equal Opportunity Employer. It continues to support the diversification of the workforce.